Oriental Insurance set the trend by increasing premium rate for senior citizens. Clout of elders as pressure group has grown. Elderly have choice for getting insurance even if rates are higher. Public Sector Insurance Companies suffer heavy loss due to group insurance. Agents are being be paid commission for insuring 50+ for health insurance. 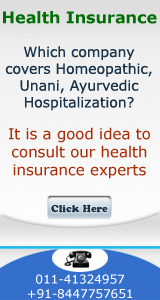 Insurance Companies want to pick up large group health premium by giving extra discount. In one of the newsleter we read about CAG observation that United picked up LIC group insurance premium by giving extra discount of Rs. 8.57 cr. As a result of this naturally they had to incur losses. 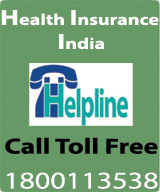 If losses under Health Insurance are to be controlled then corrective steps have to be taken. As a result of this we came across another news item with following heading. Reacting to the outrage over insurance companies' bias against the middle-aged and elderly, Insurance Regulatory and Development Authority (IRDA) has put the state-owned Oriental Insurance Company on notice for discouraging the sale of medical insurance to those above 45. The regulator has asked Oriental to give up its policy to deny commission to agents for renewal of mediclaim policies by those above 55. The policy was a thinly disguised tool to weed out the category which is considered to be more vulnerable to health problems and thus not an attractive business propostion. The intervention is sure to be lauded by the ageing population, which had screamed foul over what they called discrimination. However, it merely skims the surface of the industry's prejudice against the greying population. Discouraging mediclaim cover and non-renewal of existing policies to those above 45 stretches across the sector. While IRDA has acted against the public insurance company, it has not ventured to question private players who were either offering no health cover to those over 50 years or were charging twice the premium that the state-owned insurance charged. That has also caused heartburn among PSU competitors in an open market. The move against Oriental comes after it decided to withdraw commission to its agents on medical policies sold to persons above 55 years. It had reduced the comission by 5% on policies to those above 45 years. The regulator has asked the PSU to pay commission on at least those mediclaim policies which are renewed by those above 55 years. It has, however, refrained from issuing an advisory on new policies sold to the said age-group. At the root of it all is the cut-throat competition and the growing opinion that the elderly are "insurance hazards" in view of their susceptibility to medical problems. Oriental Insurance Company (OIC) has doubled the annual premium for 61-70 years has to Rs. 5196 per Rs. 1 lakh sum assured (SA) for mediclaim policies. Annual premium for 56-60 years has been raised by 50% to Rs. 3483 per Rs. 1 Lakh. For 46-55 years and 36-45, premia have ben hiked 20% and 10% to Rs. 2,447 and Rs. 1,568 per Rs 1 lakh SA respectively. There is good news for the younger people. The premia for lower age group up to 20 years of age, the premium has been reduced by 10% to Rs. 1179 per Rs. 1 lakh SA. For 21-35 year age group, premium has been left unchanged at Rs. 1310 per Rs one lakh SA. Mediclaim provides the cover for medical expenses. A Company official said hike in premium was necessitated as OIC was losing around Rs. 200 crores in this segment. He said even after the hike, the company will lose but the amount will be lower. As IRDA approved the revision in the premium, the company will soon reintroduce the agent and broker commission to sell the policy for the higher age group. The senior official said that OICL had applied for the revision in January, 2006 and as the losses were mounting it had stopped payment of commission to agents and brokers for selling policy to the age group of above 55 years. For 45-55 years, the commission was reduced to 10% from 15%. Despite increase in the premium, source maintained that the company will continue to incur losses in this business. As per the date available so far, for the age group of 71-75, the company has been paying claim of Rs. 288 for every Rs. 100 colected as premium. Therefore, the company should have chareged a premium of Rs. 12,774 including comission and adminisrative expenses, But, it is charging only Rs. 6,960 only. In other age groups 46-55, 56-60 and 61-70, it pays claims fo Rs. 112, Rs. 145 and Rs. 224 respectively for every Rs. 100 premium collected. Only in lower age group of up to 20 years, 31-35 and 36-45, it pays less claim than the premium collected. But, if expenses like agent's and broker's commission and management cost are added to claims, the company will make losses even in 21-35 and 36-45 age group. In another newsitem details of group Health Insurance Policy being issued at highter discount was covered.